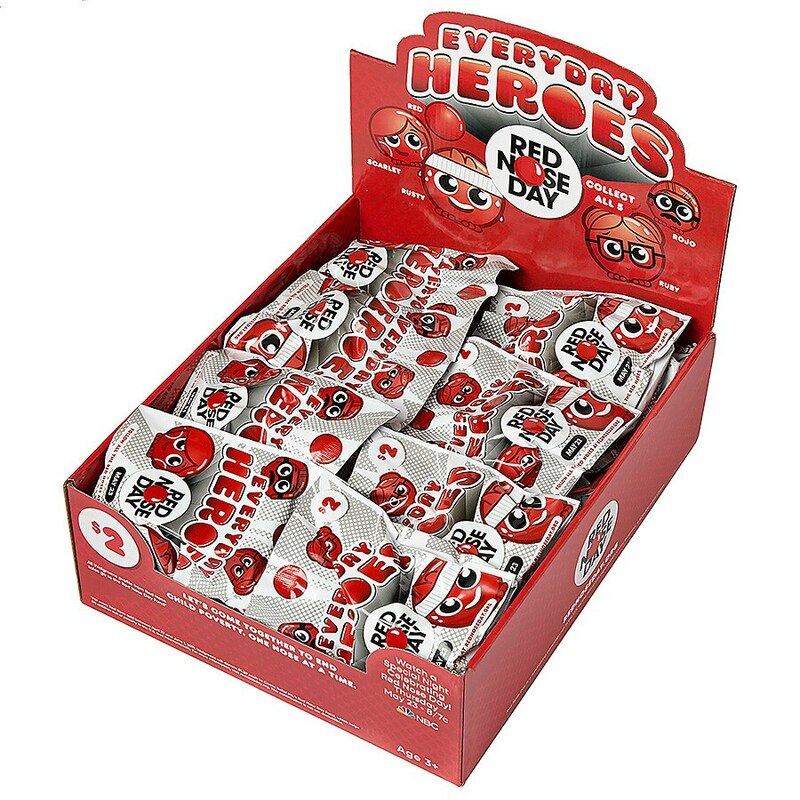 Purchase your Official Red Nose Day “Everyday Hero” character noses Here! Bulk ordering online is perfect for engaging schools, corporations and other organizations. Bulk orders are only available at Walgreens.com. This item ships with 1 box as shown including 40 “Everyday Hero” character noses per box. Noses are pre-packed in blind bags. Each box contains 9 of each character + 4 iconic Red Noses. Through June 1, 2019, for each Red Nose purchased Walgreens will donate all proceeds ($1.30 per nose) to Comic Relief Inc.'s Red Nose Day Fund, which helps lift children out of poverty in the U.S. and overseas. For more information about the Red Nose Day Fund, visit rednoseday.org. No portion of purchase is tax deductible.